Eric Garner. Tamir Rice. Rekia Boyd. Oscar Grant. John Crawford. These names are among many victims of fatal police brutality who are omitted from the federal government’s official record of police killings, a sadly predictable oversight with a root problem that’s unfortunately prevalent all across the country. Only 224 of 18,000 law enforcement agencies in the United States reported a fatal shooting by their officers to the FBI in 2014, according to previously unpublished data obtained and excerpted by the Guardian. Though that disparity is reason enough to be alarmed regarding the current state of law enforcement, the actual figures could be higher. "We have no way of knowing how many incidents have been omitted," FBI spokesperson Stephen Fischer tells the Guardian via email. ​After reviewing the FBI’s record of police killings between 2004 and 2014, the Guardian noticed not only multiple omissions, but also plenty of damning patterns from specific states and their respective departments. Many homicides considered to be "high-profile" cases in which officers were found to be at fault were often inconsistently logged or just not recorded at all. Florida, the country&apos;s third most populous state, didn&apos;t report any homicides from any of its respective departments&apos; officers. 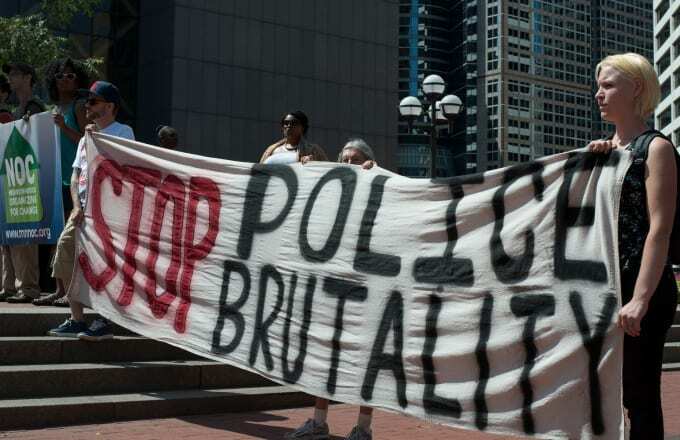 With comprehensive records of killings by police officers a central demand of the #BlackLivesMatter movement, perhaps the issue will soon take hold of the 2016 presidential election season with the urgency and respect it so clearly deserves.